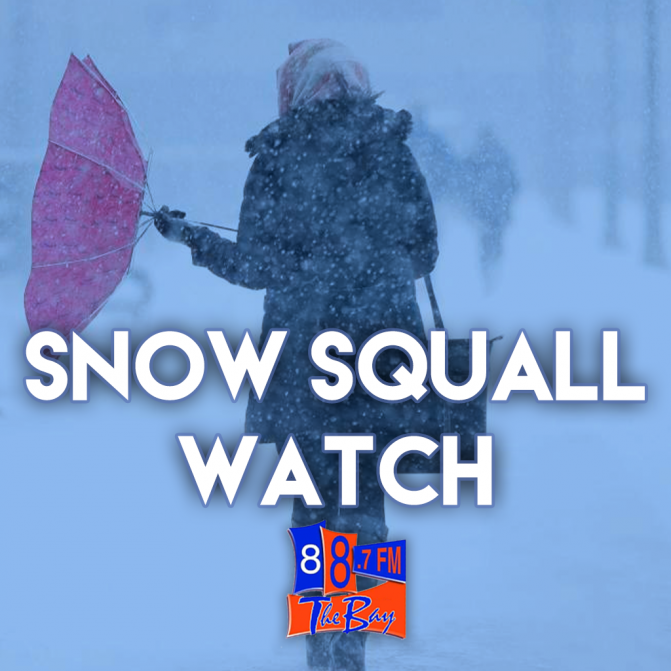 Environment Canada says snow squalls are expected to develop early this afternoon. Snow squalls with strong and gusty winds, and sudden near zero visibility in bursts of heavy snow and blowing snow may affect the region beginning this afternoon and continuing into Saturday morning. Local snowfall amounts near 15 cm per 12 hours are possible in the strongest snow squalls. Motorists should be prepared to change travel plans accordingly.